The US sees prisons across the Middle East and West Africa as key fronts in the war against extremism, and believes the world would be a safer place if they were run the American way. But is the US's much-criticized prison system really a good model for others? Doug Bock Clark visited Cañon City, Colorado, to find out. CAÑON CITY, Colorado — The chain of events that brought Zakari Hamadou to the US began with gunfire at the central prison in Niamey, the capital of Niger, on the afternoon of June 1, 2013. Hamadou is the director of rehabilitation for prisons in the landlocked West African country — no small order given that Niger is ranked by the United Nations as the least developed nation in the world, and its jails are overrun with extremists. A former journalist and NGO leader with no prior experience in correctional facilities before he took the job, Hamadou has a scholarly manner that seems at odds with the rather brutish world of Nigerien prisons. It was amid this chaos that, shortly before 3 p.m., a prisoner armed himself with an automatic pistol, likely smuggled inside with baskets of food that family members brought inmates to sustain them in the underfunded system. At the penitentiary’s rusted gates, he shot two guards, who, like all Nigerien wardens, were national guards with no training in running a penitentiary. As the remaining security forces returned fire, a pickup truck charged the entrance and fighters allied to the Islamist militant group Boko Haram attacked guards and bystanders. By the time Nigerien security forces finally regained control, 22 prisoners had escaped, including a high-profile Islamist extremist who had murdered a US diplomat with a pistol shot to the chest in the streets of Niamey. The unrest at the prison was symptomatic of greater violence sweeping the region. West of Niger, an al-Qaeda-linked insurgency had conquered more than half of Mali in 2012 before French troops beat it back the next year. Across Niger’s southeastern border, Boko Haram took much of northeastern Nigeria in 2014, razing towns, enslaving women, and conscripting men — ultimately displacing more than 2 million people, 100,000 of whom fled into Niger. That year, Boko Haram assumed the title of the world’s deadliest group, according to the Global Terrorism Index. By the time Nigerien security forces finally regained control, 22 prisoners had escaped, including a high-profile Islamist extremist. The attack confirmed to officials in Niger the scale of the problems they faced within their prisons, so they turned to their counterparts in the US for guidance. Their concerns were matched by many in Washington, DC, where US State Department officials believe prisons across West Africa and the Middle East represent key fronts in the battle against Islamist extremism. And for nearly two decades, the US had been operating a program to teach foreign officials how to run prisons the American way. So it was that, in June 2015, Hamadou walked across the tarmac of Niamey’s tiny airport to the plane that would take him out of Africa for the first time. Hamadou’s trip to the US — which would see him visit some of the country’s most sophisticated prison facilities — was part of that bid by the State Department to make prisons worldwide look more like those in the US. Hamadou was just one of the tens of thousands of foreign correctional officers, from five continents, who have been taught US incarceration techniques. The program began in Latin America during the “war on drugs” of the early 2000s, spread through the Middle East during the “war on terror,” and then to the rest of the world as part of an Obama-era counterterrorism strategy. The State Department has trained around 50,000 prison officers across the world over the past decade and those officers have educated at least another 60,000. It is currently involved in the prison systems of 38 countries, deploying more than 100 full-time advisers. The scale of the US’s efforts to remodel prisons around the world in its image raises some serious questions, given the reputation of its own correctional facilities. The US has been criticized at home for its overreliance on solitary confinement and its out-of-control prison population — although the US has only 5% of the world’s population, it contains 25% of its prisoners, or more than 2.2 million people. And scandals have hit US prisons abroad, from Guantanamo to Abu Ghraib, while a US detention center in Iraq was where ISIS’s leaders first organized. US efforts to remake foreign prisons have made considerable strides since the debacles in the Middle East in the early 2000s, but as Donald Trump adopts a hard-power foreign policy, the US may again find itself embroiled in controversial overseas facilities. Already the new president has stated his interest in bringing back Bush-era policies such as the CIA’s notorious “black site” prisons. Which forces us to ask: What does it mean if prisons around the world become more like the US’s? One of the West African visitors to the International Correctional Management Training Center. Twenty-four hours after leaving Niger, Hamadou landed in the US, for a lay over at Hartsfield-Jackson Atlanta International Airport, the busiest in the world. Every day, around 275,000 travelers transit through Hartsfield-Jackson — nearly as many as pass through Niamey’s airport in a year — and he felt overwhelmed by the crowds. When he got to Colorado, a bus drove him south through ranchland pinched between red rock mountains — cowboy country that looked nothing like New York or Los Angeles, the America he knew from the movies. Prisons lined the highway as the bus approached Cañon City, the self-proclaimed “Corrections Capital of the World.” A dozen penitentiaries crowd the region, including the federal Supermax, the US’s highest-security prison, which houses senior members of al-Qaeda. Hamadou’s bus rumbled past bullet hole–pocked signs warning motorists not to pick up hitchhikers and a Confederate flag stitched with the words “I Ain’t Coming Down” draped across a farmhouse fence. Finally, it drove up to a squat sandstone-colored prison surrounded by garlands of concertina wire: the International Correctional Management Training Center, the little-known institution at the heart of the US government’s effort to reshape prisons around the world. Since fall 2011, the ICMTC has operated as a school training the next generation of prison wardens from across the globe. It is run by the State Department’s Bureau of International Narcotics and Law Enforcement Affairs (INL) with help from the Colorado Department of Corrections. Hamadou was not alone in his journey to the ICMTC: 27 other wardens and government officials from Niger, Mali, and Senegal filed off the bus with him to spend three weeks studying US penitentiaries. When they returned home, they too would be charged with putting their newfound knowledge to use, running their nations’ prison systems in the fight against extremist groups. The outside of the ICMTC still looks like the prison it once was, but the first of Hamadou’s many surprises came when he entered: Inside, the facility had all the amenities of a hotel. “This facility is very clean, well-organized, and impressive,” he said. During his visit, Hamadou slept in a former cell that had been transformed into a private bedroom, complete with a plasma-screen TV. When he got hungry he walked past pictures of smiling prisoners employed in rehabilitative work programs to a kitchen stocked with gala apples and fresh milk from a farm run by prisoners. He Skyped home from the computer lab. Prisoners from a nearby minimum-security facility cooked and cleaned for him, and the compound’s security guards chauffeured him around Cañon City. He couldn’t help but be impressed — he was living a lifestyle nicer than many people in Niger, but in a former US prison. The raising of the flag of Senegal at the ICMTC. Each morning at 8 a.m., Hamadou would take a seat in a high-end office chair in the first row of the ICMTC classroom, from where he watched instructors deliver PowerPoint presentations on four flatscreen TVs, while translators simultaneously reworked the lectures into French, which the delegates listened to on headphones. The training provided by the US varies widely per the needs of the visiting country, though it has increasingly tended toward addressing extremism. For countries like Afghanistan that are mired in conflict, the US has offered military-style training to strengthen prisons against attacks and invested in deradicalization programs. In Mexico and other nations plagued by drug trafficking, the US has advised them on isolating drug kingpins so they cannot run their cartels from behind bars. In the case of the West African countries, which had basic but rapidly expanding prison systems, this has meant beginning with the nuts and bolts of running a penitentiary. Over the course of the three-week program, the visitors learned to differentiate and separate extremists from general prison populations. The US also trained the West African delegates in fundamental prison techniques such as how to search for contraband (including cell phones, drugs, and weapons), because many had never received any formal instruction. During field trips to nearby prisons, Hamadou marveled at the surveillance cameras, metal detectors, and control rooms where dozens of screens revealed every corner of the facilities. He filled legal pads with notes and laughed with his colleagues at why-didn’t-we-think-of-that moments, like when they learned to use “shadow boards” on which the silhouettes of tools prisoners borrowed were painted, so guards could tell immediately whether any were missing. Inside one prison, he became teary upon witnessing the cleanliness of the cellblocks and the respect with which the prisoners and guards appeared to treat one another. Hamadou and the West Africans also visited several facilities run by Colorado Correctional Industries, one of the largest prison-industry programs in the US, which employs about 1,600 inmates and operates 37 industrial shops and farms. 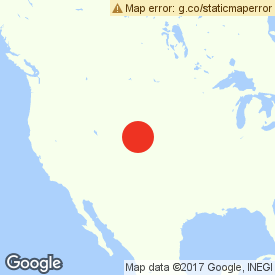 These factories produce a wide range of goods, from stuffed animals to all the license plates for the state of Colorado. One of its aquaculture farms supplies 1.2 million pounds of tilapia a year to grocery stores, which in the past have included Whole Foods. CCI also runs the largest water buffalo dairy in the country, and the West Africans were shocked to find animals native to their continent being milked in the Rockies. Ultimately, these efforts to change the opinions of the West Africans about US prison systems worked. “I’m excited to go back and use what I’ve learned,” Hamadou said as his time at the ICMTC ended. Though the INL’s plans for Niger’s prisons are unique to the country, if the West Africans had wanted to know what the impact of US prison export had been in the past, they only had to look south to Colombia. It is there, where last year the minister of justice declared a state of emergency in the nation’s prisons due to overcrowding and inhumane conditions, that the US first tried to remake foreign prisons on a large scale. In the late 1990s, drugs were flooding the US from Colombia, and the Clinton administration determined that they presented the clearest threat to US stability. Starting in 2000, the US spent $140 million to help overhaul the country’s justice sector, of which $7 million was put toward technical assistance in prisons. This investment was part of Plan Colombia, an $8 billion aid program that is still the largest outside the Middle East and Afghanistan since the end of the Cold War. Quite quickly, the INL realized its efforts to combat the criminals by training foreign police forces were futile without effective jails to hold them. Six new prisons were constructed between 2000 and 2003 based on blueprints of the Federal Correctional Complex in Coleman, Florida. Over the next dozen years, 16 more prisons were built, adding 30,545 beds, representing a 70% increase in the capacity of the system. Guards were trained with US instruction manuals translated word for word into Spanish. A US-style criminal justice framework was even imposed. Rudy Giuliani was hired as an adviser by Colombia and pushed his infamous “broken windows” approach to criminal legislation. Giuliani’s consultation was as a private citizen and head of his own security consulting firm, but he encouraged “tough-on-crime” laws explicitly modeled on ones he passed while mayor of New York. Later he would export the same US criminal justice framework to many countries from Serbia to Mexico. Yet conditions in Colombian prisons have remained abysmal, and the reforms were often counterproductive. Colombian prison police trained according to US techniques have been accused of human rights abuses. Drug lords continued to run their organizations from behind bars. Overcrowding has increased because of “broken windows” legislation that led to the punishment of minor offenses with harsh sentences. The widespread use of solitary confinement has been criticized by civil rights groups. Brownfield also spoke of learning from the US’s misadventures in Iraq and Afghanistan, which present clear examples of the risks of US involvement in prisons overseas. In perhaps the most notorious case, Camp Bucca, a US detention center in Iraq near the port city of Umm Qasr, earned the nickname “Jihadi University” during the Bush administration. Much of the leadership of ISIS, including its head, Abu Bakr al-Baghdadi, was detained there and able to recruit from the general prison population, giving chalkboard lessons on suicide bombing and convening Sharia courts that held so much sway that many inmates refused to play table tennis, watch TV, or accept health care or vocational training for fear of running afoul of them. “Inadvertently, American-run prisons in Iraq strengthened the insurgency they were supposed to weaken,” said Jeremi Suri, a professor at the University of Texas, Austin, who has studied the history of prisons in Iraq. The vacant detention center in Khan Bani Saad, near Baghdad, is an example of wasted US taxpayer money. The US ran into similar problems while rebuilding Afghanistan's prison system. Several prisons and detention centers were built, but most have fallen into ruin — sometimes even before they opened, in the case of one prison in Baghlan Province that was built with shoddy materials on a seismic fault line. By 2012, the INL had trained at least 7,000 Afghan correctional officers who taught 90% of the basic training courses in the country. However, in 2013, the United Nations Assistance Mission in Afghanistan reported that they had found “sufficiently credible and reliable evidence” that hundreds of detainees had been tortured and mistreated by wardens, many of whom were likely trained by the US. The INL’s work in Niger represents the implementation of many of those hard-earned lessons. The INL asks its partners what they want to learn and designs ICMTC courses accordingly. Instead of focusing solely on locking extremists away, the INL has recently invested over $1 million in rehabilitation in West Africa, and the US is no longer exporting blueprints for foreign prisons. What the US’s involvement with foreign prisons will look like during the Trump presidency remains to be seen. An INL expert, who was not authorized to speak on the record, said the bureau was unsure how much of the Obama-era strategy will remain in place with the new administration, though the White House’s expanded military budget and bellicose foreign rhetoric signaled that it might not last long. “Though of course there is some degree of uncertainty and unpredictability, as there is with every transition, but we're continuing our good work every single day,” the official said. Reasoning that it is significantly more difficult, dangerous, and expensive to tackle extremism on the battlefield, the Obama administration had promoted rehabilitation programs and ones that strengthened civil society — particularly a country’s police, courts, and prisons — a strategy known as Countering Violent Extremism (CVE). However, by the beginning of the Trump administration, Obama-era CVE programs were already under fire for failing to produce quantitative results — though defenders contend they have been underfunded and successes are hard to measure because they are often counterfactual, like a prison break that never happens. Today, they seem to be prime targets for the cuts to foreign aid that Trump has threatened. Zakari Hamadou in a class at the ICMTC. On the afternoon of July 9, Hamadou signaled for the lights to be turned off in the ICMTC’s classroom. Then he began explaining a numbers-heavy PowerPoint presentation he called up on four wall-mounted TV screens. The capstone of the ICMTC course was for each group of foreign officials to present a business plan for a prison industry program in their country. Hamadou and the rest of the Nigeriens had sipped green tea while discussing what their program should be. Yearning for the more sophisticated equipment available to US prisons would do them no good, he felt, as many of Niger’s facilities lacked electricity. Instead, he and the other Nigeriens considered farming pearl millet or raising chickens. Then Hamadou hit upon the answer: goats. The kind he had grown up herding on his family’s farm. Special red Nigerien goats renowned for their hardiness, the quality of cheese their milk produced, and their ability to put on fat quickly. The prisons could run goat dairies, selling cheese, meat, and young goats. A Nigerien officer stands near motorcycles used by assailants at the prison at Koutoukale, near Niamey, following an attack on October 17, 2016. A shaggy, ruddy Nigerien dairy goat appeared on the four TV screens. Hamadou explained to the US instructors that he and his colleagues had calculated that the 160 goats they would buy would produce 12,000 liters of milk annually, which could be sold for about $50,000 after being turned into cheese. Former extremists would learn skills that would help them become employed on their release rather than fighting for Boko Haram to earn a wage. Once the presentation concluded, two Nigeriens walked around the classroom with a tablet displaying a picture of a goat, earnestly urging the other participants to admire the animal up close. The next day, Hamadou strode to the front of the classroom wearing an emerald-colored boubou, a traditional West African robe, and received a certificate of Correctional Industries Development. US officials dressed in suits and West Africans wearing Tuareg turbans and elaborate headscarves took pictures with their cell phones. He addressed the assembly in French, which the translators repeated in English into earpieces: “Our countries don’t have the same technology, but we have learned from you. We admire Colorado for your supermarkets, your malls, your roads, and your level of development.” He was excited to return to Niger and implement what he had learned, infused with the can-do attitude of the ICMTC. But during the weeks he had been away, the region had already grown more violent — and the instability has worsened every month since. Boko Haram fighters have kept up a relentless series of scorched-earth raids in Niger, razing whole villages and sending thousands of citizens fleeing. The head of Niger’s ruling party has publicly acknowledged the military’s inability to protect citizens who remain in the contested border region. By mid-2016, the coalition army had fractured leaving Niger to struggle alone, and US officials were openly contemplating establishing permanent military bases in West Africa to fortify the region. While the US has had some success in transforming the world’s prisons, whether the world’s prisons will be better off being more like the US’s remains to be seen. The influx of Boko Haram prisoners had overwhelmed Nigerien penitentiaries, as facilities constructed for just a few hundred detainees were soon holding over a thousand. The US-designed prison in Niger is scheduled to be completed in 2019, too slow to mitigate the deluge of freshly detained extremists, so Niger transferred 500 Boko Haram prisoners to Nigeria. In the meantime, the INL has provided designs for a tent prison camp, like the kind used in Iraq and Afghanistan, that the European Union will build to segregate the most dangerous militants. In the year and a half since Hamadou returned to Niger, the goat dairies have not been realized on a large scale. In August 2016, the Nigeriens who had traveled to the US convened a conference to teach other wardens what they had learned at the ICMTC and discuss further plans for the dairies. But only one warden who visited the ICMTC has made a dairy at his prison, a small one composed of several dozen animals. A few other prison industries have sprung up, such as the same warden having his charges grow tomatoes, potatoes, and eggplants to bolster the insufficient supply of food provided by the government. But larger prison industries have yet to take hold. And prisons remain dangerously overcrowded with extremists. However, other INL-backed efforts have shown more results. When Koutoukale prison, which holds Niger’s most dangerous extremists and is led by one of the wardens who attended the ICMTC, was attacked in October 2016 by insurgents with machine guns and explosive belts, the guards rebuffed the assault, killing one attacker. INL-supported reforms that would create a professional warden corps to replace the national guards who currently oversee the prisons has passed legislative hurdles and will likely be implemented later this year. Classification systems to divide extremists from normal prisoners and tighter security protocols have been implemented at several prisons. And, partly inspired by its work with the INL, the Nigerien government has opened a deradicalization center in the country’s conflict zone, where more than 100 former Boko Haram fighters are being re-educated in a more peaceful vision of Islam, and it will soon expand. Having committed to spend approximately $6 million on prison reform in Niger in 2015, the INL program has had both setbacks and successes — transforming a nation’s prison system is a vast and complex undertaking, full of potential pitfalls and with limited measurable rewards. “While the jury is still out about whether our programs are going to stop violent extremism in its tracks in West Africa, I do suggest to you that our partners have gone an enormous distance since we have started working with them,” said Brownfield. But while the US has had some success in transforming the world’s prisons, whether the world’s prisons will be better off being more like the US’s remains to be seen. One of Colorado Correctional Industries' aquaculture farms supplies 1.2 million pounds of tilapia a year to grocery stores that in the past have included Whole Foods. A previous version of this article said it still supplied Whole Foods. Doug Bock Clark is a freelance journalist. His work has appeared in The New York Times, The New Republic, The Huffington Post, Mother Jones, BuzzFeed, and more. He won the 2017 Reporting Award. His work has been supported by two Fulbright Fellowships, an 11th Hour Food and Farming Fellowship, and a Glimpse Fellowship, partly sponsored by National Geographic. He was a finalist for the 2016 Mirror Award. His first book will be published in June 2018 by Little, Brown. Contact Doug Bock Clark at doug.bock.clark@gmail.com.